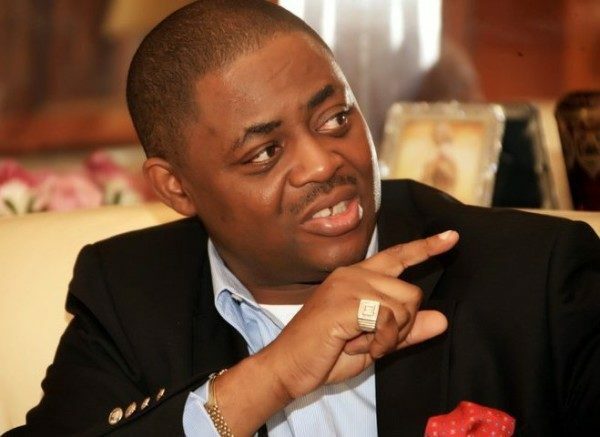 Femi Fani-Kayode, former Minister of Aviation has described the purported endorsement of Adams Oshiomole by the All Progressives Congress, APC, as National Chairman as formidable. The South South APC leaders were reported to have endorsed former Edo State governor, Adams Oshiomhole, as the concensus candidate of the zone for the national chairmanship position. But Fani Kayode warned that Oshiomole, unlike Oyegun is ‘dangerous and formidable’. He wrote, “I sincerely hope that my colleagues in the opposition will appreciate the implications if Adams Oshiomole is elected Nat. Chairman of APC at their coming convention. “Unlike John Oyegun, Oshiomole is no soft touch.I know him well: he is a formidable and dangerous adversary. “With Lai Mohammed, Femi Adesina, Shehu Garba, Bolaji Abdullahi, Rotimi Ameachi and now Festus Keyamo speaking for Buhari in 2019, the election will be a vicious and dirty fight. “This is a strong line up. We must get our act together and be ready to fight them fire for fire.